Midaamaka is a poor, nonindustrial world. 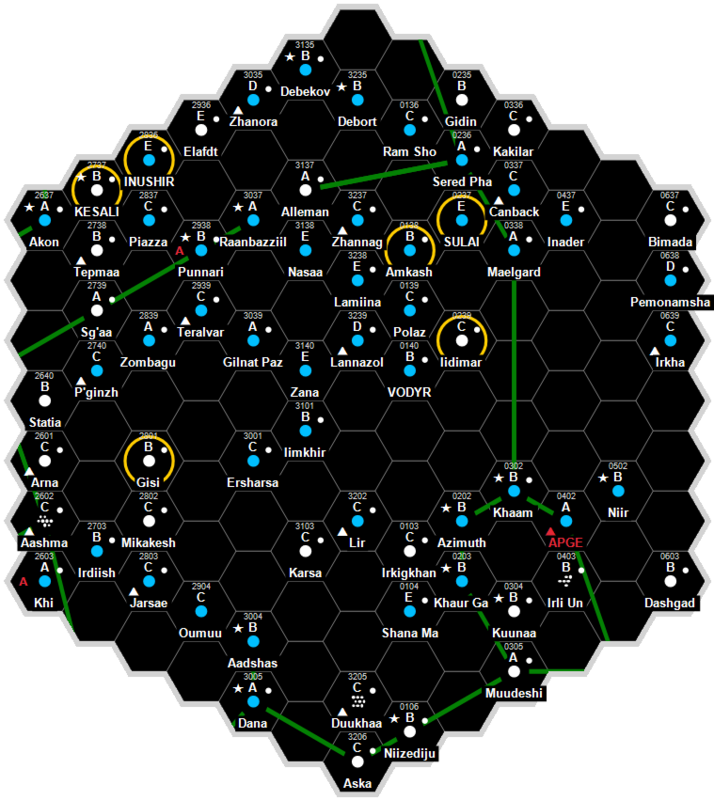 It a client state of the Third Imperium in the Darkling Subsector of Glimmerdrift Reaches Sector. Midaamaka has an excellent quality starport. Midaamaka possesses a Technology Level of TL–10 or TL-A in Hexadecimal Notation. Midaamaka has a Self-Perpetuating Oligarchy government.